Plaka is a village located on the Northern portion of the island. It’s on the small side but it’s right on the coast and visiting here makes for a pleasant outing. There are some beaches nearby that are also worth exploring. Pay attention to the traditional architecture and be sure to eat a traditional meal in one of the restaurants. 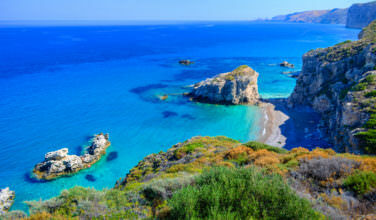 You’ll also want to enjoy the beautiful views of the Gulf of Milos while here. Plaka is also the island’s capital, which means that you won’t run out of things to do here. It is also a great place to get a hotel while on the island. 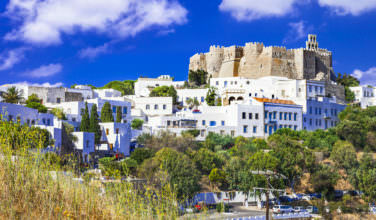 The interesting thing about Kastro is that it is actually only 500 meters from Plaka. Currently, Kastro is actually part of Plaka, but it is considered to be the old quarter. Since it has a distinct look and feel from Plaka as a whole, it is usually grouped together. This is a charming place to visit and a chance to view a different part of the island without venturing far away from Plaka. Klima is another village that is worth visiting. Located about 4 kilometers to the south of Plaka, this village’s main draw is that it is a traditional fishing village and will give you a chance to explore the quiet and relaxed side of Greece. Spend time here walking the streets and enjoying the view. Be sure to obverse Greek traditional life while here, as well. This is another one of those villages that’s an easy distance from Plaka. At twelve kilometers away, Pollonia is also on the coast. Like Klima, it is also a fishing village. However, unlike Klima, Pollonia has been developed into a resort for tourists. Still, it isn’t built up too badly and the village is still peaceful and charming. The tourist presence here is a positive thing because it’s fairly easy to find a place to stay and there are plenty of things to do. If you opt to take a ferry to the island of Milos, Adamas is likely where you will end up since it is the main port on the island. 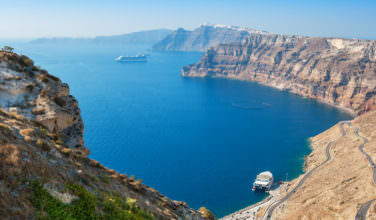 It’s also only 4 kilometers from Plaka, which means that you could easily explore both while visiting the island. This is a busy port, but not as busy as some of the major ports in Greece. It also has a reputation as being a safe zone for people who come to the island. After all, it was founded in the early 1800’s by refugees who came from a nearby island. 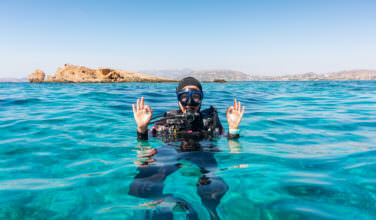 There is so much to do on Milos, you certainly can’t go wrong by exploring any one of these villages!